Ingress Gear: Advanced Technologies for Advanced Agents | Improving the efficiency, effectiveness, and enjoyment of agents since 2013. The more I research Ingress, the more impressed I’ve become about the research and thought that has gone into the game design. Many of the nuances of the game are completely missed by the vast majority of players, but are brilliantly and creatively conceived by the game’s developers, Niantic Labs at Google. An example of this is the faction symbols. In Ingress “lore”, the Resistance are fighting for humanity against the “ingression” of the aliens known as “Shapers”, whose technology is able to control or influence human minds. The Resistance are represented by the colour blue, and the symbol of a key. The other faction, the Enlightened, support the Shapers, apparently under the belief that their influence will advance mankind. They are represented by an eye symbol, and the colour green. Most players don’t pay a moment’s notice to all of the symbolism going on here. The Enlightened “eye” is a stylised version of the Eye of Horus, a recurring symbol since ancient Egypt. In Egyptian mythology, the god Osiris was murdered and his body torn to pieces. Horus retrieved the pieces of Osiris to heal and restore Osiris, and thus the Eye of Horus has been associated with healing, restoration, and protection for thousands of years. This storyline is reflected almost perfectly in the recent “#13Magnus” event in Ingress. In this so-called “anomaly” in the game, Roland Jarvis, leader of the Enlightened faction, was exposed to high levels of XM radiation, and subsequently killed by NIA operatives. However, he survived as an XM entity visible in the portal at Cupid’s Span, and the shards of his being, or “Jarvis Shards” were later reassembled from all over the world, bringing him back to life on “Reckoning Day,” the 14th of December, 2014. The green colour representing the Enlightened is thus reflected in the ancient etymology of the name of their symbol, and is also, coincidentally, perhaps the most appropriate colour for representing the “aliens,” who are sometimes referred to as “little green men” in more contemporary culture. The Eye of Horus is sometimes also referred to as the “Eye of Providence” or the “All-Seeing Eye”, and contemporary conspiracy theorists link this symbol with organisations such as a New World Order and the Freemasons, and the founders of the United States of America (the All-Seeing Eye appears, otherwise rather inexplicably, on the US $1 bill). Given that the Enlightened represent the rise of a new alien power, the symbolic connection here is rather strong. What about the Resistance, represented by a blue key? Amongst the concepts symbolised by the key is a metaphor for “Man’s Greatness”. 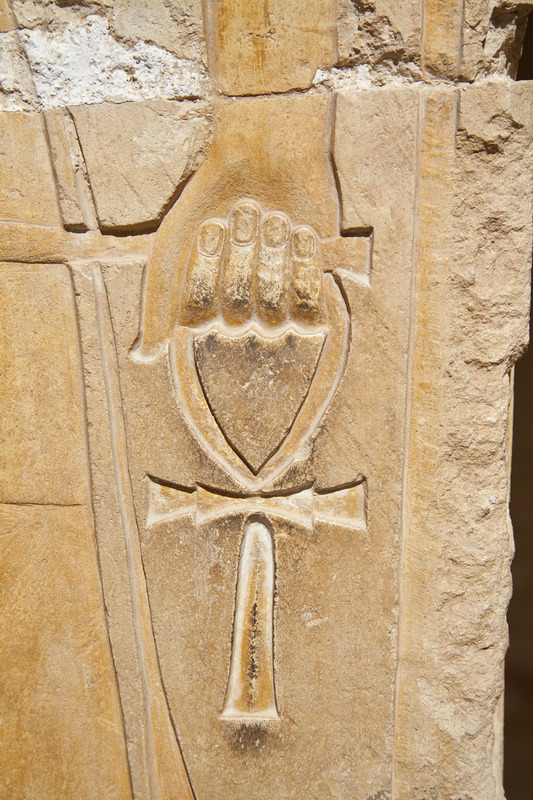 However, the matching ancient symbolism for the key is the Egyptian Ankh, representing “Eternal Life” – which is reflected in the Christian symbolism of St Peter’s keys representing the “keys to eternal life”. Will we see this connection with the symbolism of the Resistance emblem emerging more strongly in the future? Does ADA, the Turing-test-capable artificial intelligence, represent an immortal being, allied with the Resistance? Just checking out the TechSling – a holster-like harness that holds all your technology close at hand, with room for a 7″ or 10″ tablet, a phone, and a zip-up compartment that might be useful for battery packs and cables. 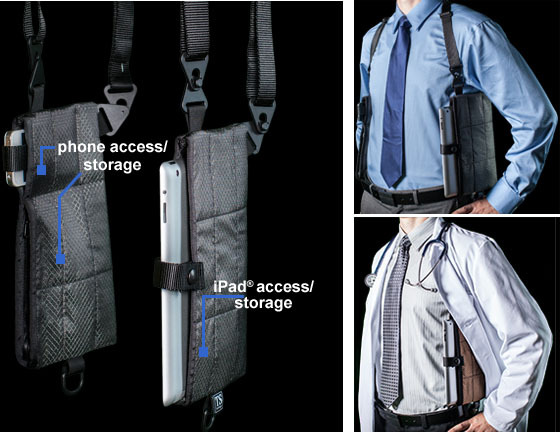 It looks like a useful way to carry gear, concealed under a jacket or coat for covert Ingressing; but because devices have to be pulled out to use, and the holsters will tend to move around a lot if you are actively running or cycling between portals, this isn’t something I’ll be ordering myself. If anyone else tries one of these out for Ingress, though, I’d love to hear your thoughts in the “Comments” section below. Watches. They’re sooo last century – am I right? 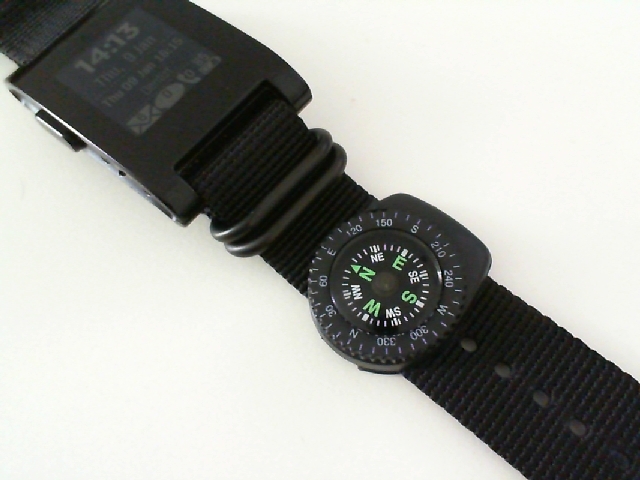 It’s certainly helpful that the Pebble is water-resistant for field operations in all climatic conditions; and by changing the standard rubber watch strap that came with the Pebble to a NATO military strap, it is better secured to my wrist (the way a NATO strap is attached means that if one of the pins securing it to the watch breaks, the watch will stay attached to one’s wrist). 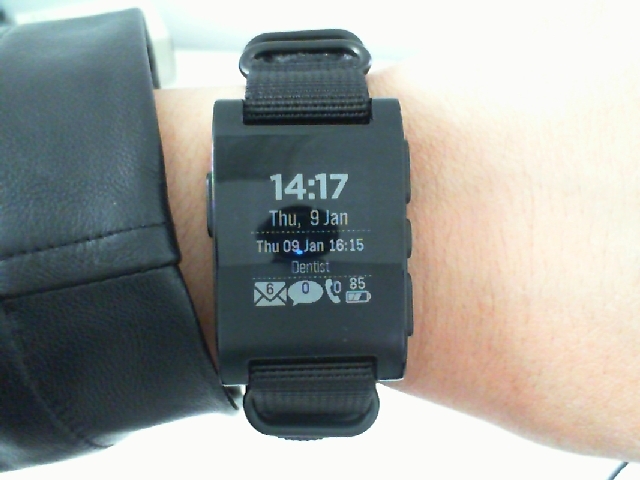 If other agents would like to attach a custom strap to their Pebble, the appropriate strap size is 22mm. There are numerous NATO straps in various shades of Resistance blue or Enlightened green for those who would like to show their team colours. I got mine on eBay for about $9, and I preferred a subtle all-black band rather than sporting an overtly military or brightly coloured watch band: http://www.ebay.com.au/itm/200877477841?var=500137539672&ssPageName=STRK:MEWNX:IT&_trksid=p3984.m1439.l2649. The one I have is cheaper than some of the others on eBay, but isn’t very long, sized for wearing on the wrist. “Real” NATO straps are longer, allowing them to be put on over clothing (e.g. fatigues, wetsuits). The extra length is tucked back through the extra loops on the outside of the strap when worn on the wrist – just something to be aware of. I’ve also been trying out a wrist-mounted bearing compass for navigating to new portals while driving – previously, a compass was also useful for resonator deploys, to quickly determine the direction of the most defensible resonator position when the deploy screen only had cardinal positions rather than a map overlay. Those days are long gone, but now, in “Navigate to Portal” mode, ADA calls out the direction and distance to the portal targeted, and I can drive in that direction without needing to look at my scanner – just keeping an eye on my compass from time to time. For navigation on foot, I can even set a bearing on the compass (this one has degrees marked on a rotating bezel, and a bearing arrow on the base) and put away my scanner to save battery or improve my stealth in the presence of other agents. Improving the efficiency, effectiveness, and enjoyment of agents since 2013.